A rural Mountain Home man charged with making more than 40 threatening calls, most aimed at one CNN news anchor, is apparently heading for trial in late June. Thirty-nine-year-old Benjamin Craig Matthews is alleged to have made calls laced with racial slurs and references to the newsman's dead body being cut up into small pieces or swinging from a tree. He is said to have alluded to pipe bombs and made a series of other threats of physical injury or death. In the probable cause affidavit, the newsman was referred to only as "DL." The CNN staff directory listed only one on-air employee with those initials -- Don Lemon, a news anchor. Matthews is accused of making multiple calls a day to CNN's Atlanta headquarters during a period beginning Oct. 31st through Nov. 2nd last year. 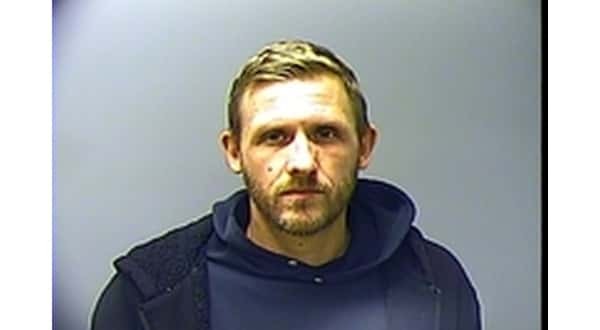 Baxter County Sheriff's Office investigators worked with the Atlanta Police Department and traced the calls to a cellphone registered to Matthews. Investigators say audio recordings indicated all the calls were made by the same person. An individual familiar with Matthews listened to the recordings and identified him as the one making the calls. Matthews is also alleged to have made similar calls to MSNBC, New York Senator Chuck Schumer, California Congresswoman Maxine Waters, Planned Parenthood and the lawyer then representing Stormy Daniels, the adult film star who had at the time of the calls filed a lawsuit against Donald Trump. Matthews' targets were left-leaning individual and groups and tended to peg Matthews on the political spectrum as being far right wing.